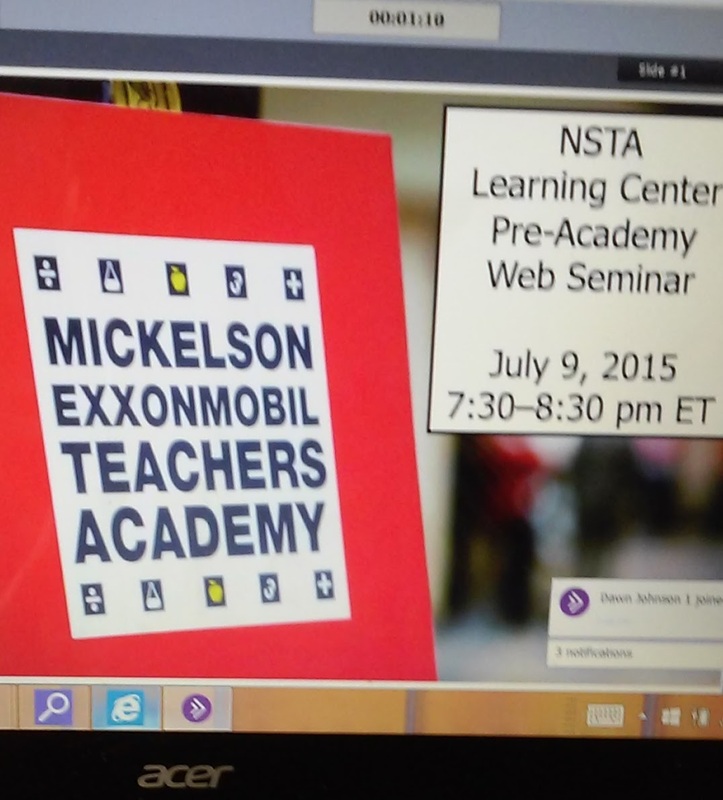 Mickelson Exxon Mobil Teacher Academy! Yes! 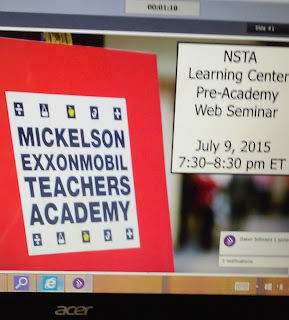 It was a webinar orientation for the Mickelson Exxon Mobil Teacher Academy in Jersey City, NJ the week of July 26th! I'm sooooo excited! Out of over 1500 applicants, 150 were chosen - I feel like I won the lottery. It will be 5 days of science and math professional development plus the opportunity to explore NYC and meet up with my college roommates! It's going to be fab and fun!